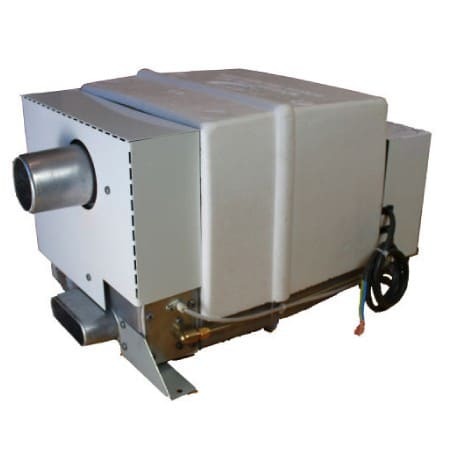 The Malaga 5E is a high capacity water storage heater with an efficient gas burner which has the additional benefit of a 750 W electric heating element. 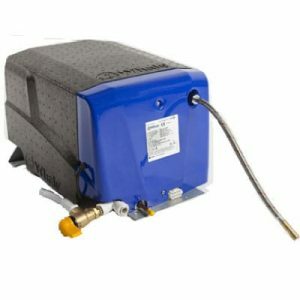 It provides a quick and efficient supply of hot water for showering and washing in campervans. 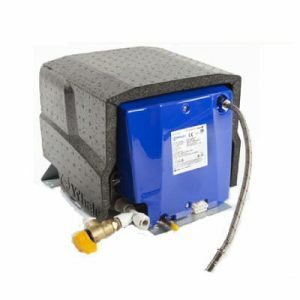 Equipped with Propex electronics for accurate digital control of the heater operation and safety functions, the Malaga 5 water heater features a 3 position switch panel for selecting either ‘gas only’ or gas and 230v’. A red L.E.D on the switch panel lets you know when the gas burner is operating and will flash a certain amount of times to indicate various fault conditions.